I made a 2018 pact to fix all the little nuisances in my home. The Problem: my sweet puppy, Griffin, loves to knock over his bowls, spilling food and water right where I step. 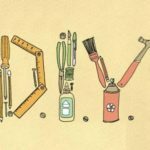 The Solution: A DIY dog bowl and treat holder! It will keep my socks dry and create a special place just for Griff in the heart of my home – the kitchen.. 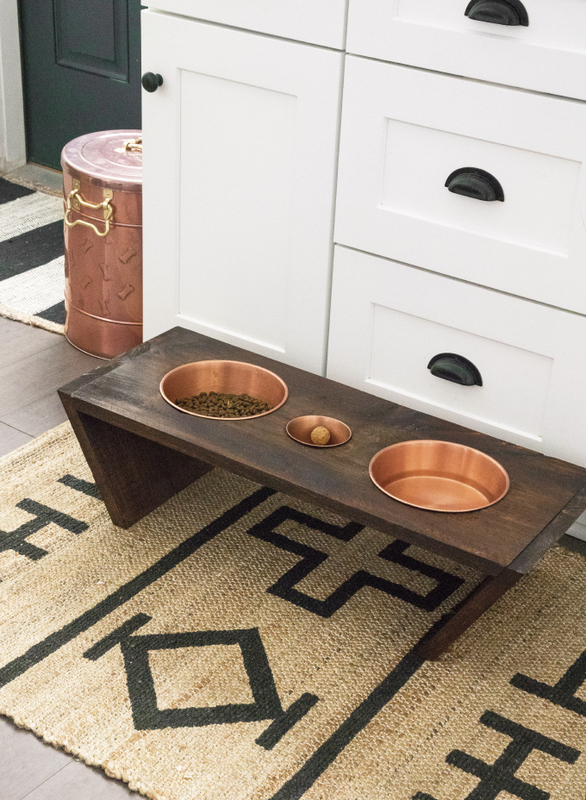 I love his copper food and water bowls, so I wanted to build a custom holder for them. I had this idea in the works when Milo’s Kitchen reached out to partner about their home-style dog treats. Of course I said YES! Any time to combine DIY, treats and bonding with Griff is good for me!